Geranium is serious competition for my previously mentioned favorite air purifying oil! The smell is delightfully uplifting and the hint of sweet is the perfect compliment to the beautiful spring weather we're starting to experience. Besides using geranium to cleans the air, I've used it in homemade shea butter based hand cream to combat dry skin and wrinkles. 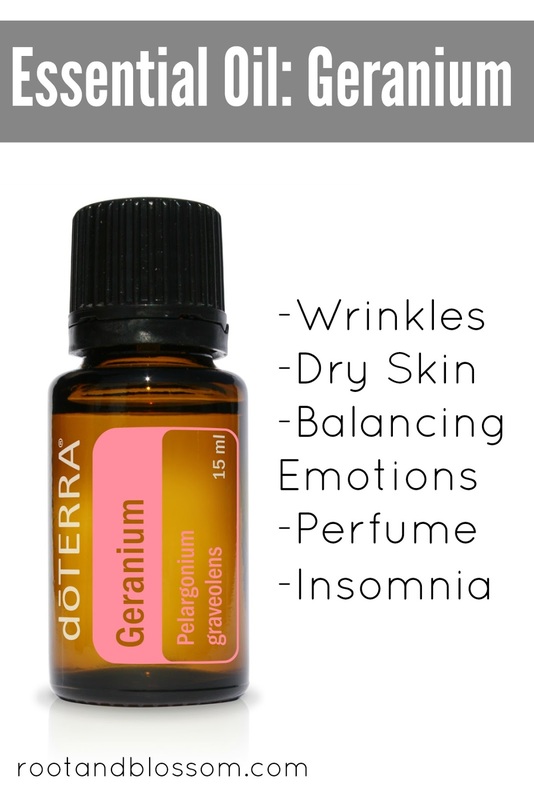 Other common uses for geranium include balancing emotions (relieving stress, anxiety and tension), calming minor aches and pains, natural perfume, digestion issues, insomnia and circulatory problems. Geranium is also said to be helpful for people with autism because of its ability to address agitation, environment stress and physical stress.